But your dog will love you ’til the day he will die. This is Monday Mischief, but no so for me… I wanted to share with my friends. Sorry this is not of a light nature or funny. I was very torn about posting this here today, but I have to be true to my heart and to everyone else. Thank you soooo much, I am relieved he is no longer in pain, Sunday was such a horrible day trying to keep him as pain free until Monday morning. So very sorry for your loss. That is a great photo of you both! Thank you… it was taken about 4 months after I got him. I am so very sorry. I can only imagine your pain. May you be comforted knowing you gave JoeJo a life filled with love. My condolences. Thank you soo much, it means a lot to me. I have some tough times ahead without him. What a beautiful picture and poem! So sorry for your loss. Sending heartfelt sympathy and hugs. No matter how long they’re with us… it is never, ever, enough time. Thank you so much Sue. He stayed with me a lot longer than anyone ever thought he would, as he was very ill when I first got him. My thoughts are with you. I am still trying to accept the loss of my beloved baby. I’m so very sorry for your loss. We are sending prayers & love. 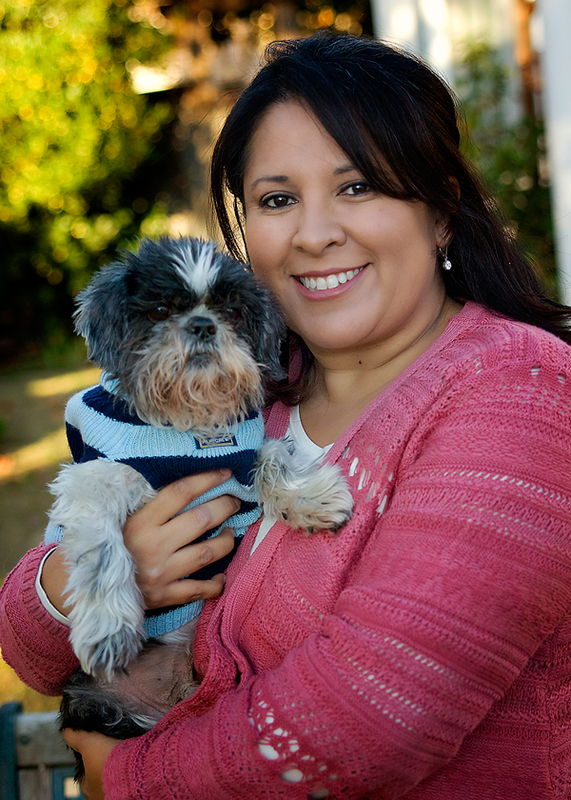 Diane @ To Dog With Love recently posted…Happy Birthday to us! 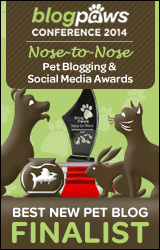 We’re Petties Pet Blog Finalists! So very, very sorry for your loss. Thoughts and paws are with you. Oh, I’m so sorry. I know how very hard it is to lose a beloved pup. He’s your special angel now. I hope you can find a good outlet for your grief. For me, my blog helped and I also put together a special scrap book filled with my favorite pictures of my girl. Thnking of you at this most difficult time. (Glad you could have a smile over at Pooch Smooches.) Hang in there. Thank you so much Jackie. I really needed a good laugh yesterday and I just loved the pictures of mischief… especially nose through the donut!! That was the cutest ever!! I’m very sorry for your loss. Keeping your family in our thoughts and prayers. Oh noooo…I am so deeply deeply sorry…….I wish I had the words to help ease your pain. Your photo is gorgeous and the poem is just perfect. Wish I could be there to help you through this. Caren Gittleman recently posted…Welcome to my NEW HOME! !